Why is Ironheart Foundation close to my heart? Age 49. Doesn’t that seem young for a woman to have triple bypass surgery? That’s how old my mother was when she had her surgery. She was smart enough to persist in ensuring her symptoms were acknowledged and evaluated. Thank goodness! Age 39. Doesn’t that seem young to have your first heart attack? That’s how old my brother was when he experienced undeniable cardiac symptoms while caddying. He was fortunate enough to be surrounded by competent people who knew what to do and had resources to start treatment right away. Age 18. Isn’t that young to be diagnosed with familial hypercholesterolemia? That’s how old I was. Age less than 2 months. That’s how old my best friend’s daughter was when, in 1987, she died from heart failure that resulted from a structural defect in some veins in her brain. She was the initial inspiration for choosing my career path. The list goes on. The risk goes on. As a pharmacist and a clinical researcher, I’ve dedicated my professional life to helping people with disease or disease risk achieve the best health and quality of life possible. As a patient, I’ve dedicated hours a week to physical activity. I’ve participated in a multitude of sporting events since 2007, from 5Ks to “half-distance” (70.3 mile) triathlons, and I actively find ways to reduce stress. I want to be around to see my 3 nieces and my nephew grow up! And much of the inspiration to go after my personal goals has come from volunteering and fundraising for charitable organizations. 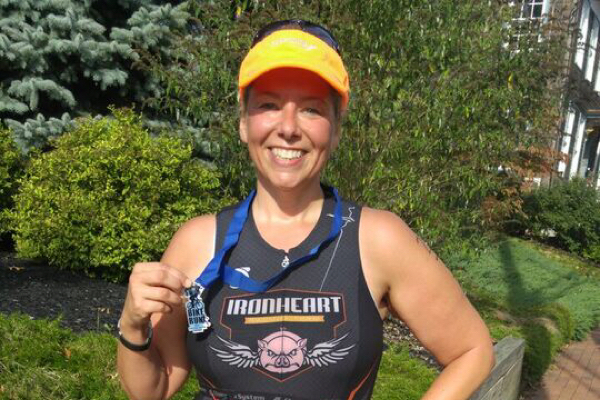 Joining the Ironheart Team was a natural extension of everything that’s happened in my life. Being a part of the team that will bring the Ironheart Foundation to a new level?